The world famous Papaya King brand started nearly 100 years ago in midtown Manhattan. 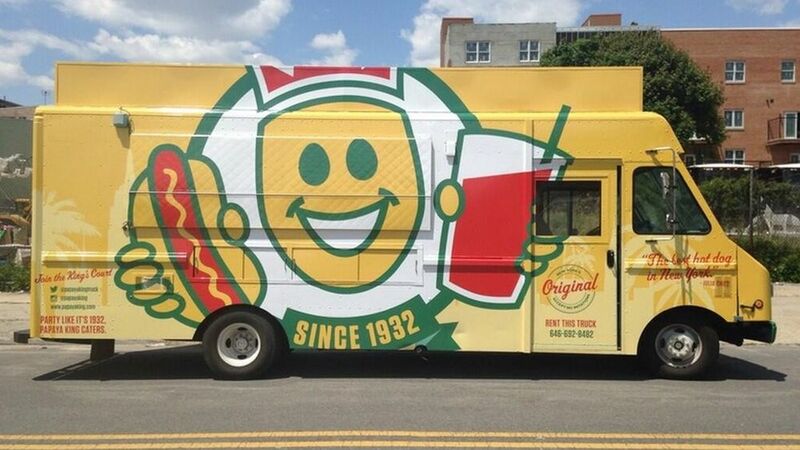 Today Papaya king can be found in their bright yellow food truck or one of their dozens of brick and mortar outposts. Their hotdogs are grilled to perfection and when you combine it with one of their freshly made papaya drinks it makes you feel like it is a relaxing summer day.